A new breed of spice merchants is meeting the rediscovered Indian demand for authentic spices. Purity of form and essence is becoming important once more for urban Indian consumers of spices. They want to know everything before they buy - where the spices were sourced from, how they were handled, as well as the finer details of their quality. 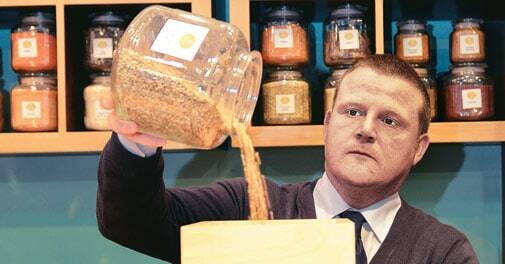 "There is a collective cultural memory of quality, which creates demand," says Julian Amery, 44, whose company, ASA Trading (pronounced Asha Trading, after 'hope' in Hindi) retails in India through the high-end outlet Foodhall. The company is registered in his native Denmark. Amery's love affair with India and spices began in 2008 during a solo overland trip from London to Tibet, via Turkey, Iran, Pakistan, India and Nepal. The journey made him aware of the heritage and culinary traditions of Indian spices. Later, a meeting between his family in Copenhagen and Kishore Biyani, Founder, Future Group, led to a business partnership. India has an age-old tradition of family specific recipes, but for these to live up to their promise, the spices used have to be as fresh as possible and ground in the right way. The widely available brands of mass produced spices do not meet these exacting standards. But companies like ASA maintain their products do. ASA Trading occupies a modest 125 sq. ft. stall in Foodhall, but its impact has been considerable. Biyani's daughter Avni, Concept Head at Foodhall, says she was charmed by the way ASA Trading romanticises its spices. "The concept has never been tried in India before," she adds. "The way the spices are displayed gives a spice bazaar feel, especially to women who have a deep connection with spices. This interaction is not available elsewhere and has been a great success formula. It adds value to Foodhall and going forward will be big revenue driver for our outlets." The top selling spices? Garam masala and chai masala. Nearly 30 per cent of Foodhall's spice portfolio is sourced internationally. "We get requests to source vanilla beans from Madagascar, cinnamon from Sri Lanka, peri-peri from Portugal," says Avni. Often consumers want their spices to be blended in different ways and leave specific instructions. The products at Foodhall are freshly ground and stone pounded using stone mills imported for that purpose. Some spices like turmeric are even hand pounded. In India, ASA sources its spices from Kerala, Karnataka, Rajasthan, Punjab, Uttar Pradesh, Himachal Pradesh, and Kashmir, among other states. According to industry experts, brands that offer a combination of organic sourcing and traditional techniques of stone pounding or iron pounding are increasingly getting more shelf space in fine food outlets. "We have seen a growth of 40 to 45 per cent in the organic and iron pounded spice segment for our company over the last few years. Though it is over a small base, the market for this product is growing," says Sanjeev Azad, Director, Operations, Conscious Food. Set up in the early 1990s, Conscious Food ventured into the organic food business in 2004. It also co-brands with Fabindia and sells its products through premium chains such as Nature's Basket. Conscious Food prides itself on the freshness of its products, and claims it is the country's first organic foods retailer. Its products are delivered within a week from the time the spices are procured and ground. Using tie-ups, this Mumbaibased company has reached all major metros. Why are people drawn to hand pounded and iron pounded spices? Azad says the heat release in these processes is much lower (than the pulverising process used to make most spices), which leads to higher yield after grinding. The flavours are also more robust as the spices retain their texture, natural oils and aromas. Then, there is Fabindia, more than 50 years old, better known for its ethnic wear. Like Conscious Food, it forayed into organic foods and spices in 2004. It has been witnessing steady growth at its 171 outlets for these kind of products across the country. "Our food range in 2004 was 70 products. 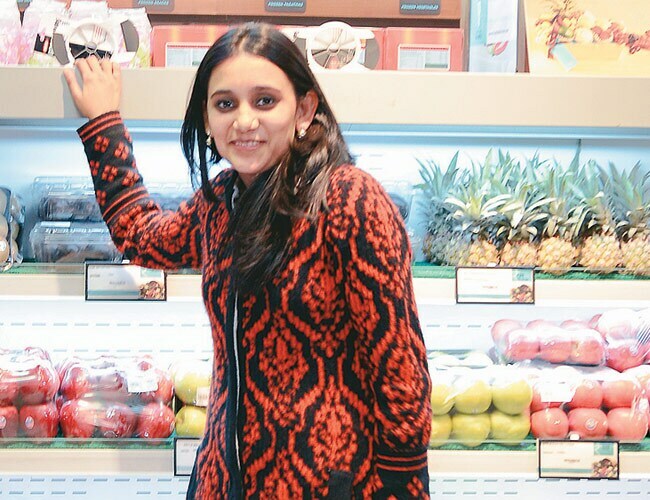 Today it has grown to more than 450, which includes a wide assortment of spices, herbs and seasonings," says Ashima Agarwal, Category Head, Organic Foods, Fabindia. Noticing the increasing popularity of the traditional basil (tulsi) herb, Fabindia introduced an exclusive range of tulsi teas which it blends with other traditional ingredients such as mulethi and ginger. Its turmeric powder and other spice mixes are pounded by hand. It uses traditional recipes for its pickles and stores them in martbaans (earthen vessels). Customers today are more conscious of what they consume and are open to healthier alternatives, says a Fabindia spokesperson. Fabindia sources its foods from authentic organic food farms across the country as well as regions known for specialty of their produce. The revival of spices prepared in traditional ways is not a mass-market phenomenon yet. It is mainly confined to niche buyers in the metros, but as Amery sums up: "It is about going on a journey with our customers, exploring new and exciting ways of using spices, and also ways in which these can be incorporated into our lives."